We all want to age gracefully even those who are still firmly planted in their youth. As the decades of life fly by, we want to maintain a healthy and youthful complexion so as not to fall under the scrutiny of judging eyes and negative comments. Anti-aging creams are one way to achieve this goal. When the signs of aging begin to show themselves in crow’s feet, laugh lines, and wrinkles on forehead, rather than hiding our faces away in shame, why not invest in an anti-aging product that will repair and improve skin making it appear healthier, younger, and more radiant as the years pass by. 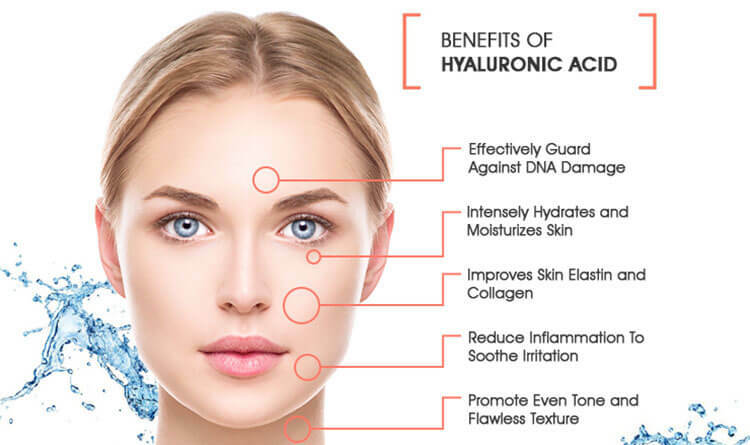 While it is always important to take preventative measures in protecting our skin from the damaging effects of the sun and other environmental pollutants, it is equally important to exercise a healthy skin care routine that will contribute in the long term to a more youthful appearance. 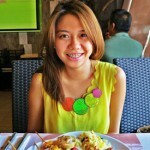 Continue reading for the benefits of what anti-aging creams can do for you as your skin begins to show signs of aging. 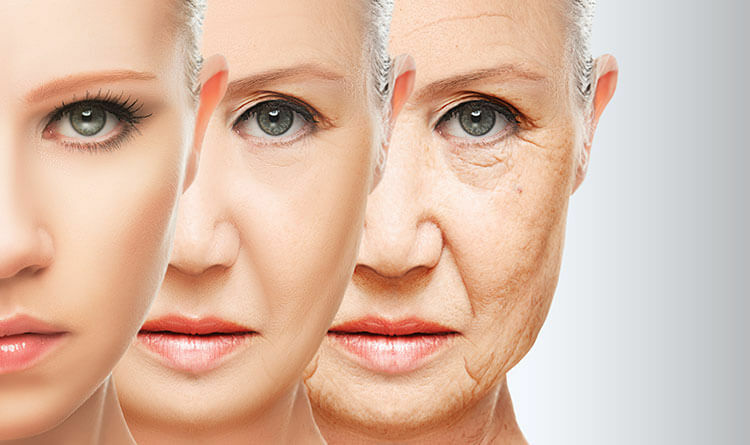 1.What Causes Skin To Wrinkle With Age? We should all know by now that the inevitable process of aging is what causes wrinkles on your face, neck, chest, and hands. But what exactly happens during the aging process that causes skin to wrinkle? As our bodies age, the production of collagen and elastin slow down as well as our body’s ability to quickly regenerate and renew our skin cells. As dead skin cells settle on the surface of maturing skin, we start to notice signs of aging such dryness, fine lines, wrinkles, and sagging skin. But it is not just aging that causes wrinkles. It is also a lifetime of exposure to the harsh elements of our environments such as sun exposure and other extreme weather conditions, air pollutants, and poor lifestyle choices like cigarette smoking, unhealthy diets, and lack of exercise. Anti-aging creams will help in preventing some of the damage to your skin that occur from the natural process of living, but will also help to improve your skin after the damage has been done. 2. Why Should You Use Anti-Aging Cream? Let’s face it, we implement all sorts of preventative measures to protect our skin, yet wrinkles and fine lines will still appear. Adding an anti-aging cream to your daily skin care routine can help offset the effects of aging on your skin. Whether due to the natural aging process, the effects of sun exposure, damage due to environmental pollutants, lifestyle choices, or genetics, prevention will not completely prohibit all the signs of aging that your skin may undergo over the years. However, anti-aging creams can assist in maintaining healthy and supple skin. If you are prone to sensitive skin, you will be even more susceptible to wrinkles forming and making you appear older than your years. Anti-aging creams will help keep your skin properly hydrated and less prone to dryness and wrinkles. As we age, collagen production slows down leaving our skin less elastic and more prone to fine lines and wrinkles. Certain anti-aging creams will contain active ingredients that help boost collagen production leaving your skin plump and radiant. So now you may be wondering what is the best thing for wrinkles. Anti-aging creams are the answer. The most effective anti-aging creams will consist of dermatologist approved formulas that help to remove the appearance of fine lines and wrinkles. The best performing anti aging creams will provide three key functionalities to benefit your skin: Restore, Regenerate and Protect. An anti-wrinkle cream containing these properties will leave you with youthful looking skin that glows. 3. Do Wrinkle Creams Really Work? Considering the overwhelming use of wrinkle reducer and other anti-aging creams by millions of women worldwide and the fact that the skin care market is a billion dollar industry, this would indicate that anti-aging cream must be doing something effective. However, if you are seeking an instant wrinkle remover, you may be disappointed as anti-aging creams require time and patience in a daily skin care routine before you will begin to see results. While some products may be marketed as rapid wrinkle repair, count on using your anti-aging products for at least a month before improvement to your skin is apparent. In the grand scheme of our lifetimes, however, thirty days is not a long time to wait to find your face, neck, and chest areas looking more youthful than ever. 4. 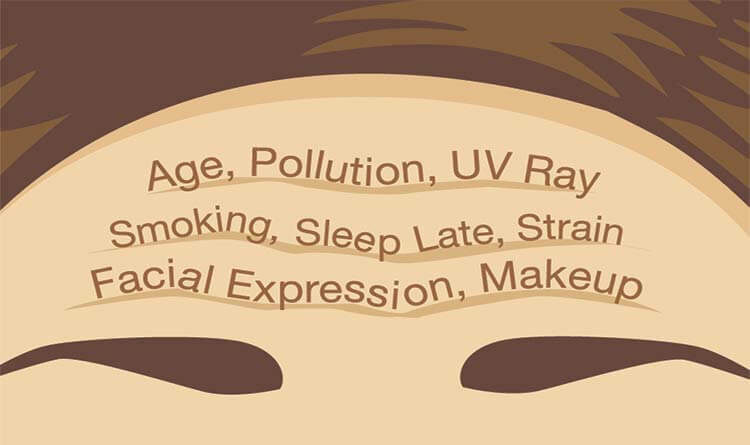 What Is The Ideal Age To Start Using Anti-Aging Cream? Many women wonder when to begin using anti-wrinkle cream. The ideal age to begin using anti-aging creams is really dependent on your skin type, your lifestyle, and your genetic predisposition. In Your 30’s: Others state that this decrease in our bodies’ capability of rejuvenating skin cells does not even begin until our 30’s at which point collagen production slows down as well as a decline in our skin’s elasticity. This would be a great time to begin using anti-wrinkle creams. In Your 40’s and Beyond: By the time we reach our 40’s, signs of aging most likely have begun to appear. If you have not yet started an anti-aging skin care routine, it is not too late. Adding anti-aging creams at this stage of life will help to reduce the visibility of age-related fine lines and wrinkles. 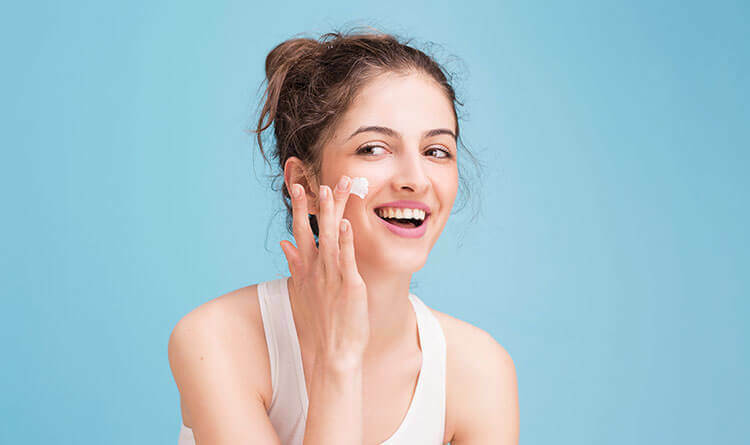 So when deciding on the best time to add anti-aging creams to your skin care plan, it is important to pay attention to your own skin and decide which products are best for your specific needs. The best anti-wrinkle cream for each individual will contain the ingredients necessary for your individual skin type. Younger skin that is showing no signs of aging may still benefit from anti-aging creams that consist of an antioxidant and vitamin rich formula that will provide adequate protection to maintain healthy and youthful skin. If your skin is showing signs of premature aging such as photoaging from too much exposure to the sun’s harmful ultraviolet rays, then you may want an anti-aging cream with skin reparative and rejuvenating qualities. If your skin is already mature and showing natural signs of aging, adding an anti-wrinkle cream with plumping effects and intense moisturizers will help return your skin to a more youthful appearance. 5. What Is The Best Ingredient For Aging Skin? Plant Stem Cells: Scientifically proven to improve the quality of the skin and decrease the depth of deep wrinkles, plant stem cells help heal and repair your skin by protecting your skin cells against premature degeneration while simultaneously protecting it from internal and environmental causes of aging. Plant stem cells relieves the appearance of premature skin aging. Peptides: These small chains of amino acids come in many forms and have varying functions. Among the most beneficial peptides are Acetyl Hexapeptide-8, a neuro-peptide that relaxes your facial muscles to stretch back your skin to its expressionless state; and, Palmitoyl Oligopeptide and Matrixyl 3000, both of which support faster rate and higher volume of collagen production which gives your skin enhanced capability to cope with damage repairs. Antioxidants: These help restore the energy and liveliness of your skin cells so that regeneration and renewal can happen at faster rates. Antioxidants also protect your skin cells from free radicals which can degenerate and damage your skin further. Moisture-enhancing ingredients: Two of the highly moisturizing ingredients are squalane and hyaluronic acid. Both of which condition your skin’s surface as well as fill in gaps in the skin matrix to plump and soften the appearance of wrinkles. Botanical oils and plant extracts are also commonly added to anti-aging creams. These ingredients deliver multiple benefits, including anti-inflammatory, antibacterial, and antioxidant properties on top of the moisturizing benefits that they deliver. 6. How To Choose The Right Anti-Aging Cream? Anti-aging creams are differently formulated to suit different skin types and to deliver different repair and renewal functions. Anti-aging creams are designed to enhance aging skin differently and to correct visible signs of aging in a variety of ways. Skin type. Some mature skin types are oilier than usual while others are dehydrated. Oilier types are best treated with creams that have lightweight consistency while drier ones may require more emollients. Age. Some anti-aging creams, such as those that contain retinol, are appropriate for 40s skin and beyond. Anti-aging creams for 20s skin, on the other hand, deserve an anti-aging boost, 30s skin can make use of peptides, and beyond 40s, ceramides that help thicken and protect your skin are critical. Aging skin issues. While many anti-aging creams claim to be formulated to address every kind of aging skin concern there is, in reality, most address one or two aging skin issues only. 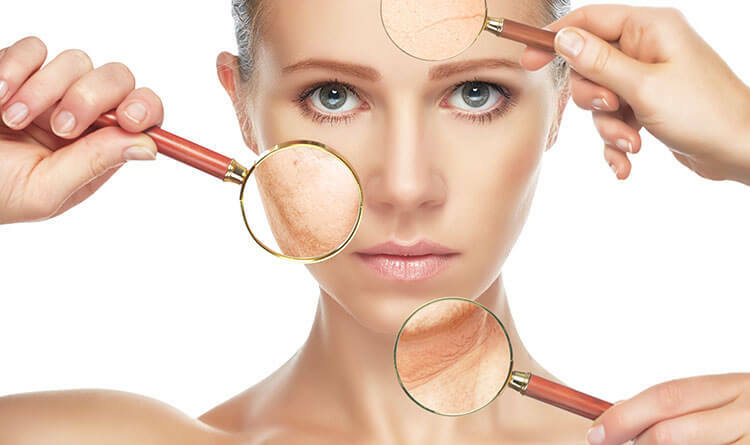 Besides, when you concentrate on one or two top skin aging concerns, you can achieve more results so, decide on which skin issue you would like to tackle first. Climate. You must keep adjusting your anti-aging regimen with the changing season. You must observe how your skin behaves during the warmer and colder months to choose the most suitable anti-aging cream. Complete ingredient list. Products that work will not be afraid to be transparent with you. Read the labels to identify exactly what a product is proposing to deliver for your aging skin. You should also check for damaging ingredients such as fragrances, synthetic dyes, drying alcohols, and toxic preservatives, all of which can further damage and prematurely age your skin. Evidence. Some creams will show you rave user reviews but, the most useful proof of efficacy are clinical trials, most especially when conducted by independent researchers. Manufacturers’ Track Record. Manufacturer reputation is also important in establishing product efficacy. You want a product that comes from a manufacturer that invests on R&D. 7. Which Is The Best Cream To Reduce Fine Lines & Wrinkles? As the signs of aging begin to appear and preventative measures no longer seem beneficial, many women wonder, “How can I remove wrinkles from my face?” The best anti-wrinkle cream will contain all natural ingredients and no harsh chemicals that will assist your skin by promoting intense hydration, skin repair and renewal, as well as antioxidants that will protect your skin from further damage and aging symptoms. 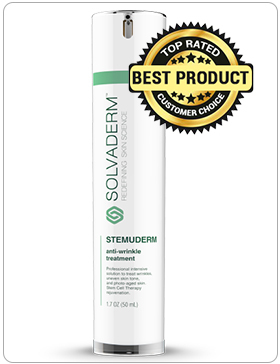 Stemuderm is one anti-aging product that has shown proven effects in the reduction of fine lines and wrinkles leaving customers with youthful and radiant skin. It is formulated by dermatologists with all natural ingredients designed to address all of the problematic signs of aging. Infused with powerful peptides to inhibit facial muscle contractions, Stemuderm will help reduce unsightly lines and creases. Its skin firming properties will improve elasticity while perfecting skin tone. And its stem cell complex will revitalize and repair damaged skin. Complete with an advanced blend of moisturizers, Stemuderm will leave your skin soft, supple, even, and appearing ageless. 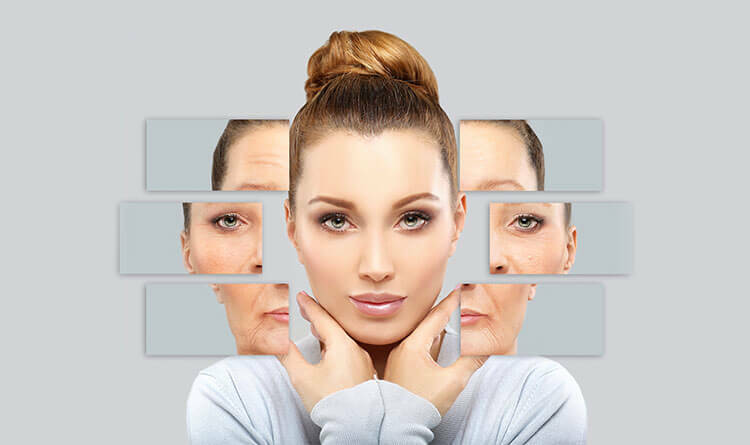 What Causes Skin To Wrinkle With Age? Why Should You Use Anti-Aging Cream? What Is The Ideal Age To Start Using Anti-Aging Cream? What Is The Best Ingredient For Aging Skin? How To Choose The Right Anti-Aging Cream? Which Is The Best Cream To Reduce Fine Lines & Wrinkles?